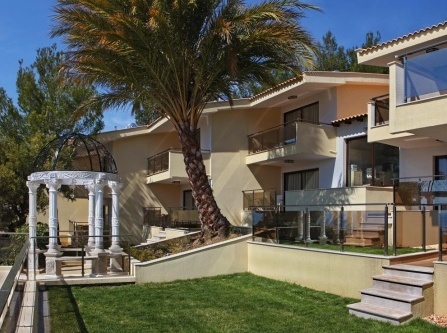 Choose for your stay among the suites and villas of different categories. Every single one has its own unique style, pieces of art and brand name furniture. The beauty of the gardens and the woods around the hotel are combined with the fascinating view of the open sea from the balconies and the terraces with the private swimming pools. "Athina Pallas Village" combines fantastic views of the lush landscape of Sithonia and blue waters of Toroneos Gulf, providing with five-star luxury accommodation. The hotel's facilities will satisfy even the most demanding guests. It provides modern, comfortable and stylish rooms, suites and luxurious stone-built houses. It also features a spa center offering unique moments of comfort and relaxation, a private beach, four swimming pools, three restaurants and six snack bars. 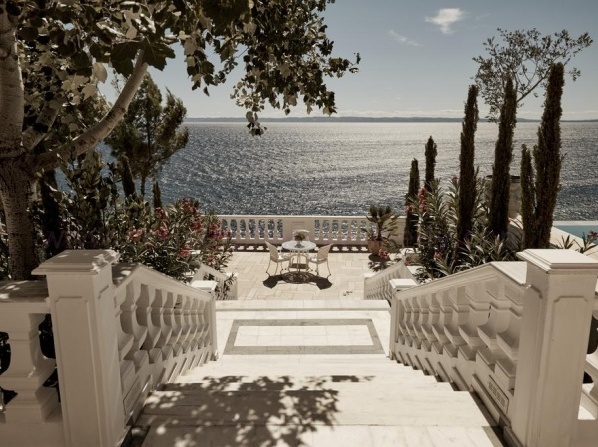 One of the few luxury hotels in Greece that literally "melts" into its surrounding, combining breathtaking environments with impeccable services. 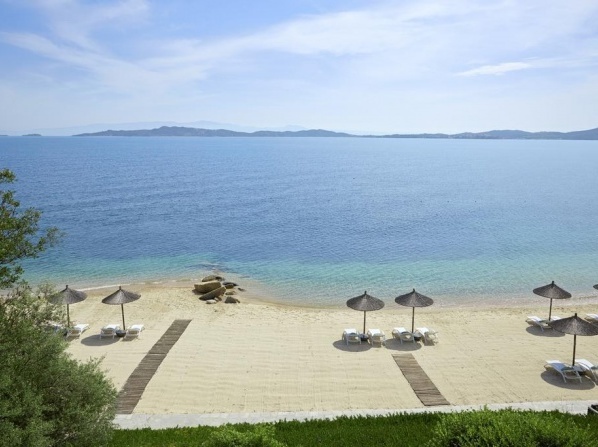 The hotel is located on the wonderful sandy beach of Ouranoupolis that is suitable for swimming and water sports. The 164 sea view and sea front rooms, luxury suites, suites with pool and bungalows are designed for elegant living. The luxury suites and suites with pool offer complete privacy and direct access to the beach. 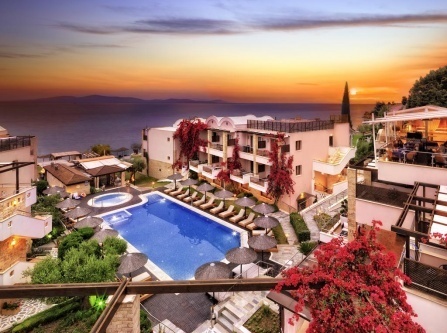 Situated in a green bay in Kassandra, the hotel overlooks the Aegean Sea and it offers a private beach, a pool, 3 restaurants, a spa and tennis courts. The hotel features a private beach, an extensive outdoor heated swimming pool with its dedicated children’s area and the Club Spa that will take you on a journey of discovery with a spectrum of authentic traditional therapies from around the world. 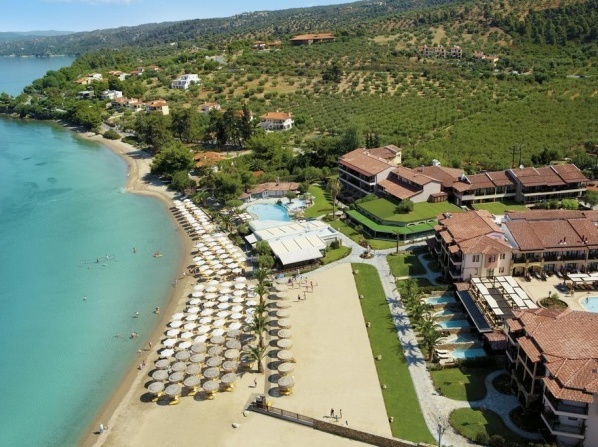 Sani Dunes is located at the Sani Resort complex in Kassandra, Chalkidiki. 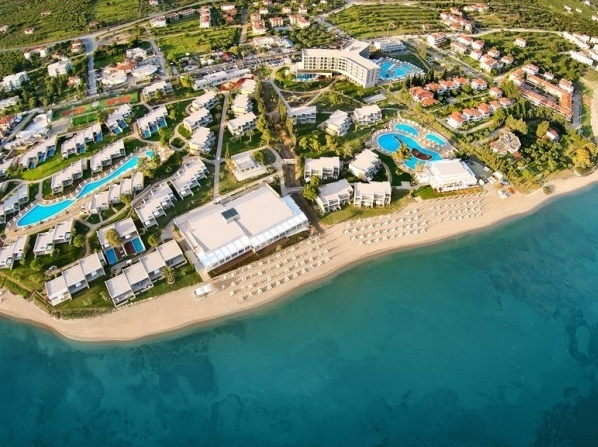 The resort is in an area of 1.000 acres by golden beach and the Aegean sea. A luxurious resort where you will enjoy your vacations in the most luxurious way. The hotel features 3 restaurants, a pool bar, private beach, teen area, and activities that include tours and yoga classes. The Sani Dune\s spa offers private treatment rooms and a variety of therapies, massage, jacuzzi and fitness studio. On the western coast of Sithonia, along a 9 km stretch of a gorgeous, sandy beach with crystal clear azure blue waters and amidst 1,763 hectares of natural grandeur, nestles the one and only Porto Carras Meliton. 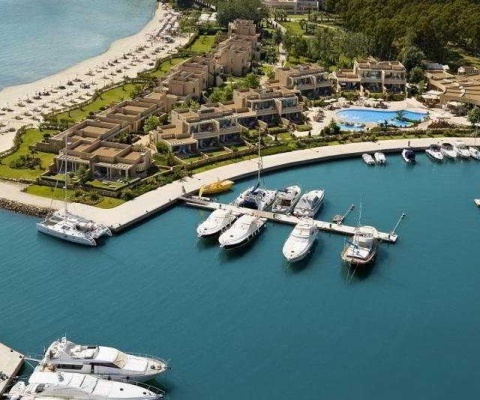 "Porto Carras" features two 5 star hotels, an imposing world-class villa, a luxurious casino and two thalassotherapy & spa centers. 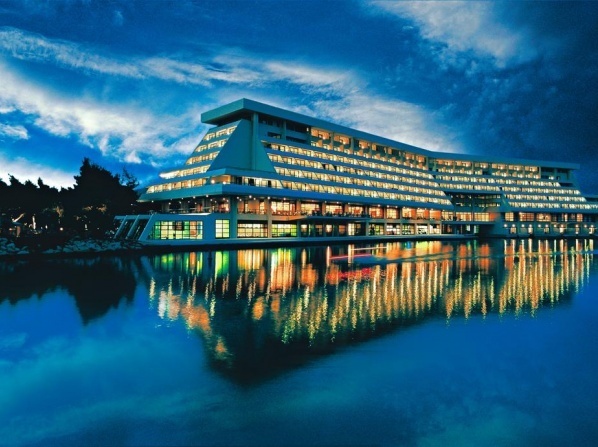 Furthermore, an international-standard 18-hole golf course, a horse riding Academy, a tennis club with 9 courts, the largest and best equipped conference hall in northern Greece, a diving center, plus Greece’s largest organic vineyard. 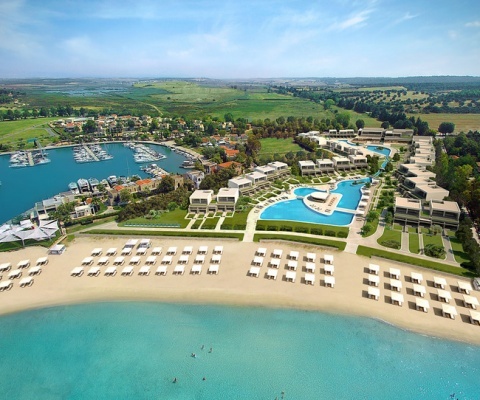 At Sani Resort there are also eco-activities for the kids in relation to the natural environment of Sani. Games, art, observation and exploration are some of the featured activities taking place. Also, there are childcare facilities and a teenagers club. 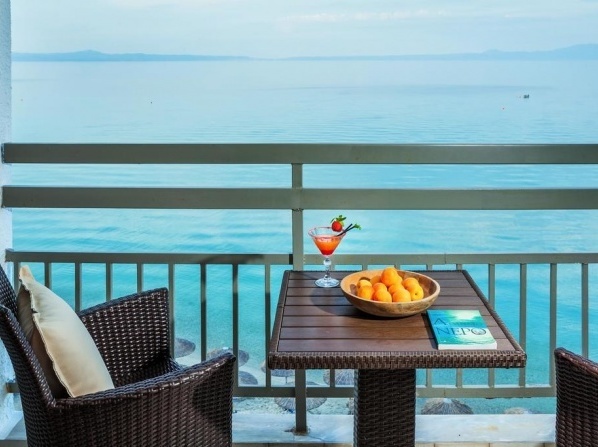 Situated in Nea Skioni in Chalkidiki, the hotel offers a rooftop restaurant with Aegean Sea views and a pool with sun terrace. 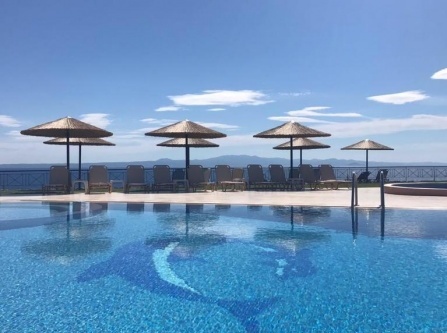 The hotel offers a swimming pool with children zone, a spa centre with whirlpool swimming pool, a private beach with bar, a delectable restaurant and a panoramic bar with international flavors and Greek cuisine. 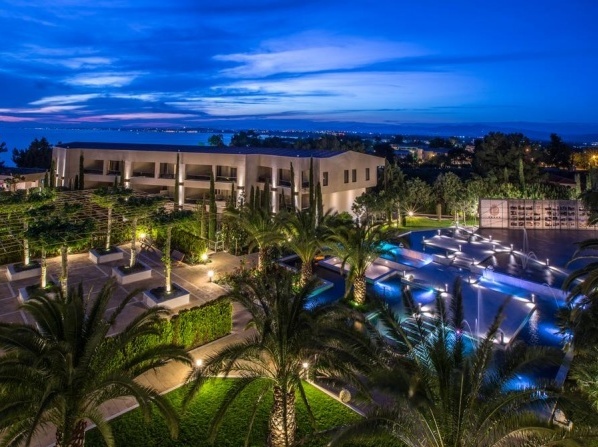 Located just a few meters from the beach in Sani Village, the resort features spa facilities and a lagoon-style pool. The hotel features a sensuous Spa Suite that is a haven of tranquility providing aromatherapy treatments, personal trainers and one-on-one yoga lessons. 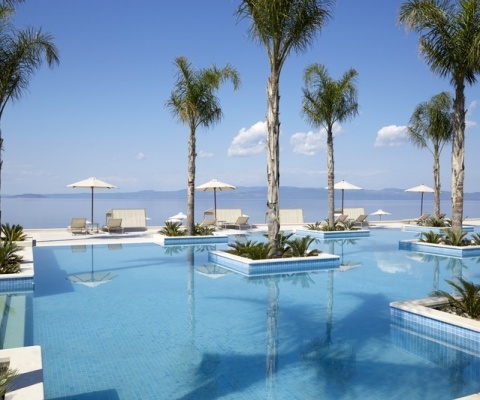 During your stay you can swim in the lagoon pool enjoying at the same time energising fresh juices and well-being menus not only for adults but children as well. 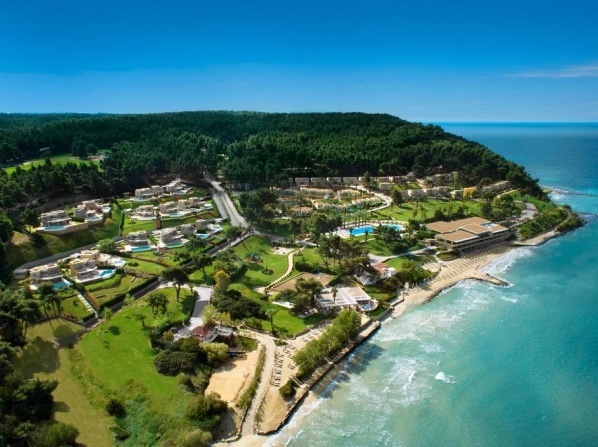 Featuring a private beach, the hotel also offers 3 outdoor pools and 1 indoor, spa facilities and extensive grounds with shops, a tennis court and 5 restaurants.